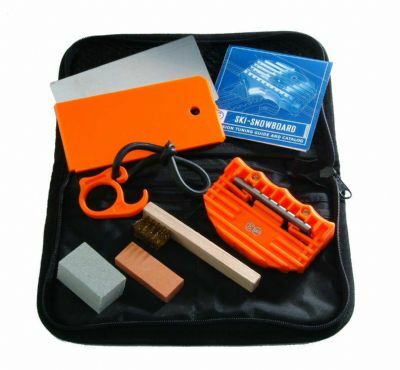 Kit includes Plastic and Metal Scrapers, Gummi stone edge deburrer, Small Edge Stone, File Cleaning Brush, Ski Brake Retainer, Tuning Guide all in a Cordura pouch. • Notes: Works for Skis or Snowboards. Uses 70x25mm files.